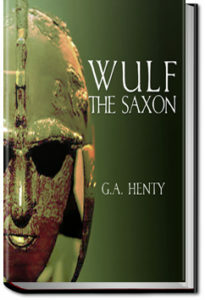 Wulf the Saxon is a classic George Henty tale of nobility, loyalty and courage set in 11th century Britain. It relates the adventures of Wulf, a young, but extremely capable Saxon Thane. Wulf with his friends and servitors devote their lives to the service of Harold Godwinson, both before and after he becomes king of England. They are directly involved in capturing castles, rescuing shipwreck survivors, foiling assassination attempts and entering the terrible battles at Stamford Bridge and Senlac field by Hastings. The background of the novel is set in the stormy period prior to the Norman conquest of Britain and the story centers around real people and events, even offering a historically correct and lucid insight to the intrigues surrounding the religious and political alliances which led to the events of 1066; an absolute turning point in England’s history. This entry was posted in Action/Adventure Books on May 20, 2017 by allyoucanbooks.